Classic Embrace in Cornwall ON - Fleuriste Roy Florist, Ltd. 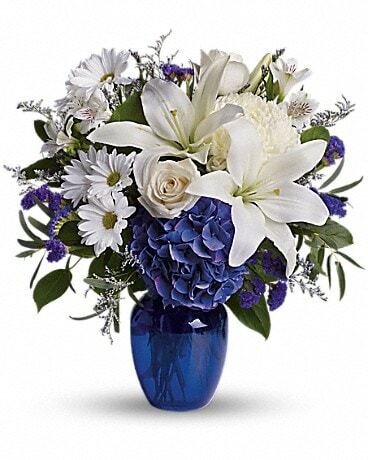 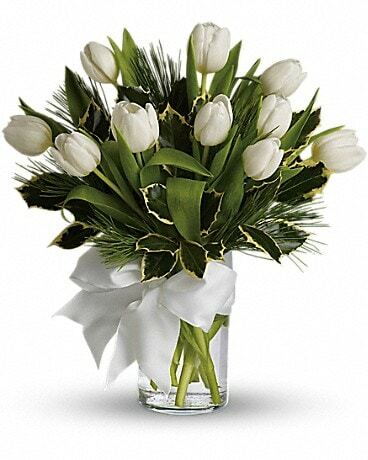 Embrace your feelings with a classic floral vase arrangement. 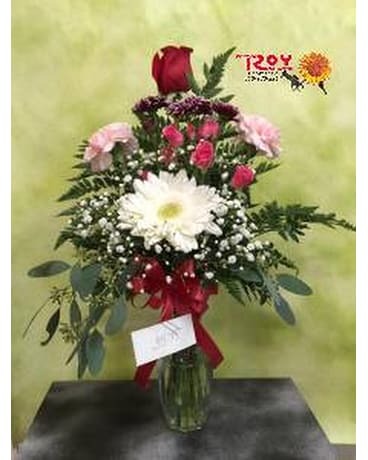 This arrangement consists of a rose, a few carnations, a stem of spray roses, a gerbera daisy and baby’s breath. 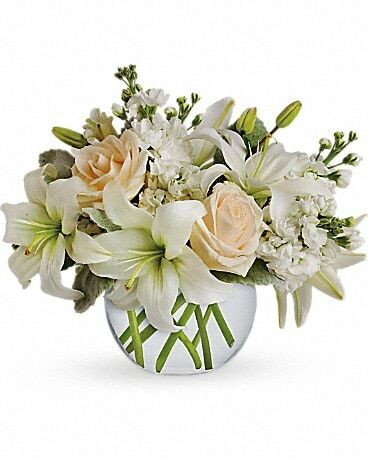 Displayed elegantly in a glass vase and artistically designed by our qualified designers, this stunning ensemble will send a memorable message to your special someone that can help you express yourself perfectly, no matter what the occasion.